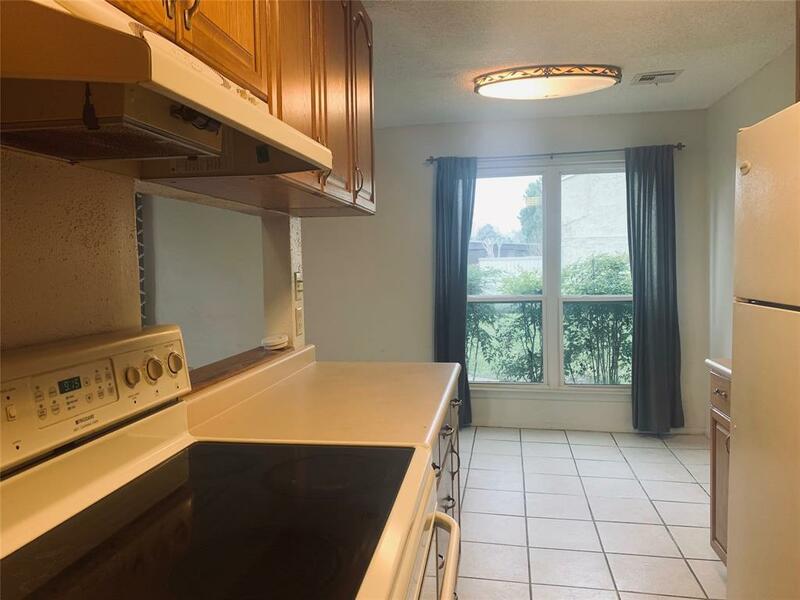 Open floor plan town home, breakfast/dining kitchen combo and connect to living room. 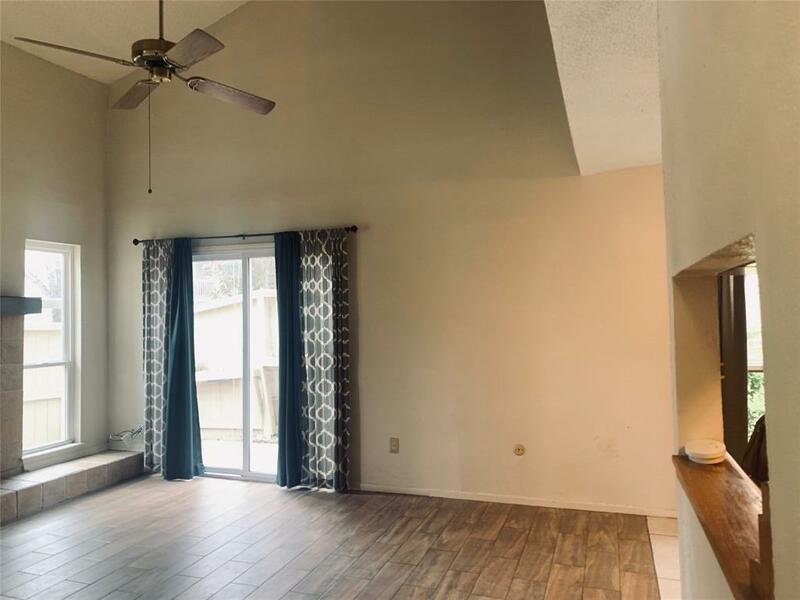 Corner unit with balcony, private fenced patio. 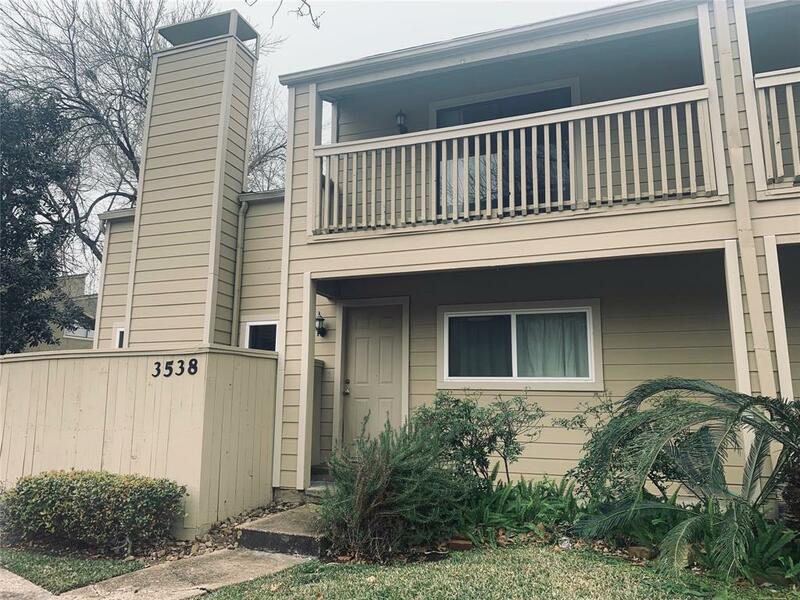 One bedroom downstairs, Upstairs has balcony, and large walked in closet and shower.Upstairs office space with built in shelves, window for extra lighting, & overlooking into high ceiling living room.The complex has a tennis courts, pool, fitness room, clubhouse, and hot tub. 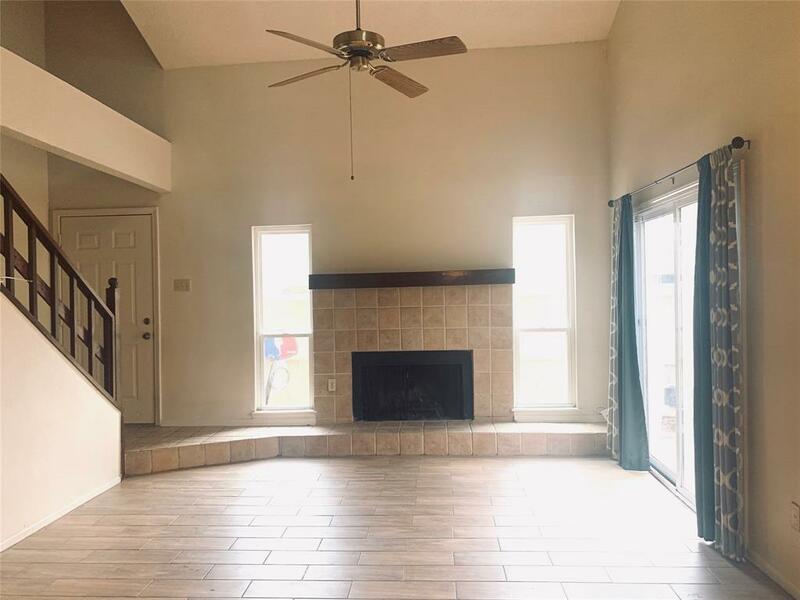 Great location, minutes to Hwy 59, Westpark tollway, Hwy 610 and Galleria and near by shops, restaurants.